Howard Swindle, news editor for the Dallas Morning News, is a Pulitzer Prize-winning journalist and an Edgar Award nominee. 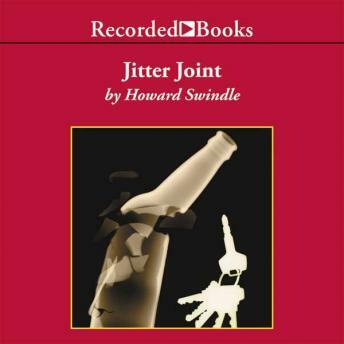 Jitter Joint is a stunning novel of suspense which showcases his razor-sharp talent for creating character and mood. Dallas homicide detective Jeb Quinlin has hit the end of booze boulevard. To keep his job, he must check into a residential treatment clinic. Jeb's road to recovery is jolted, however, when two murders occur in the facility. Each corpse carries a quote from the Alcoholics Anonymous program, and each is connected to some detail from Jeb's past. Soon Jeb begins to fear that he is the real target. Jeb's dual battles-against the clever killer and his own alcoholism-keep the tension of Jitter Joint at a fever pitch. As the evidence falls into a terrifying pattern, narrator Richard Ferrone's masterful phrasing keeps pace with Swindle's dark story of psychological and physical revenge.